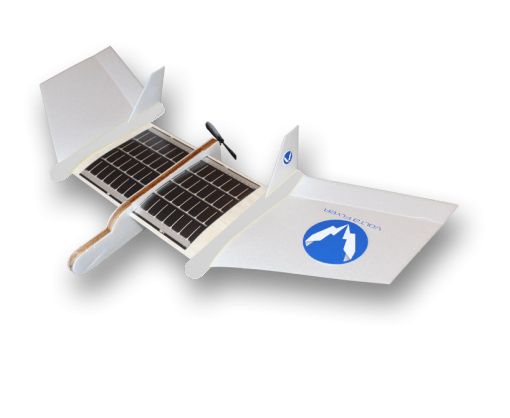 ToyLabs has introduced the world’s first do-it-yourself airplane kit for children that uses solar light as fuel to fly. Now kids will enjoy a long-lasting flight of their airplane kit that is built with ultra-light and eco-friendly materials. When you buy smart toys that are friendly to the environment you help entertain and educate your children and also add your own contribution to make this world a better place. The Volta Flyer does not need batteries to function, instead of that, it comes housing a flexible silicon solar panel that requires only 90 seconds to be charged under sunlight and powers a propeller located in the back side of the airplane. Even there’s a button that boosts up the power of the propeller in launch once it has been hand-lunch into the air. Besides entertaining and keeping the children active while playing with it outdoors, the Volta Flyer will also motivate them to use their tiny hands to build it up. To build the airplane kit is not required the use of glue but just some motivation. If your child fails to patch-up pieces, there’s a printed manual of use with instructions and also some information about flight technology and solar technology. Volta Flyer solar-powered airplane kit is available to pre-order on the crowdfunding site KickStarter for $40. Once the funding campaign powers manufacturing of the toy, the makers will start shipping it starting by this December. Unfortunately, ToyLabs currently exports only to the United States.